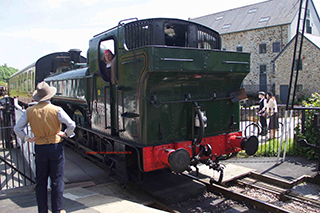 Here is some information on the forthcoming TV series “Full Steam Ahead”. 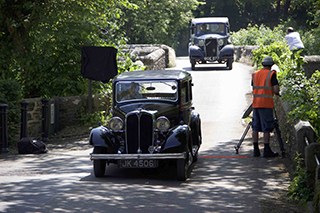 It will be aired weekly from Thursday 21 July, BBC2 at 8pm. 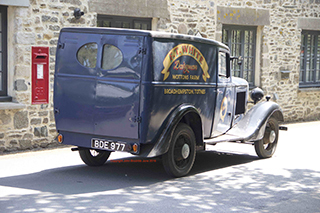 The episodes that South Devon will feature in are episode 4 (tyring a wheel) and episode 6, Trade. 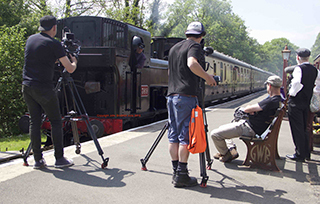 Filming took place at the railway in the first week of June, with – as ever – Dave Knowling as one of the stars. 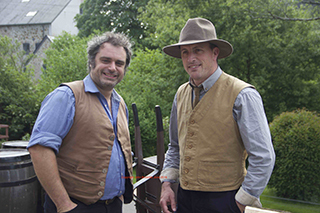 The same team from Lion TV that make Edwardian Farm and others is featured, so expect to see Alex Langlands and Peter Ginn on screen, as well as other SDR people. The attached photos show two of our other stars, Rosemary and Keith Jessop. Vehicles were supplied, amongst others, by Ron and Gerald Greet and Alasdair Page. 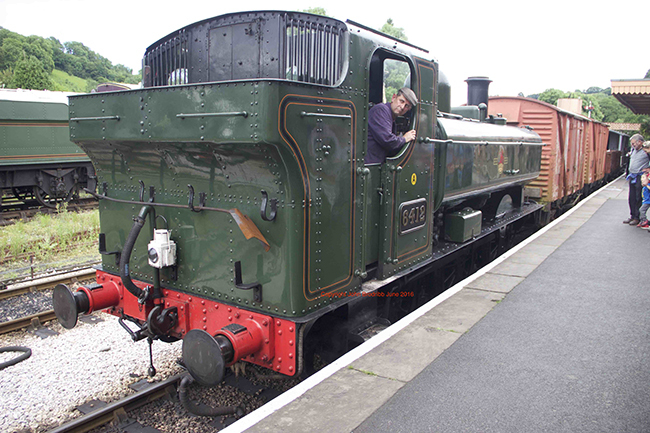 There was some additional filming on Monday 20 June when 6412 did several runs with a mixed goods train, with Rod Cox and Russell McKee on the footplate, and Tom Breed as guard.